Şükrü Özyıldız: A new talent | Do You Know Turkey | Turkish Tv Series & Drama, Turkish celebrities, travel information about Turkey and Turkish cusine. The golden age of Turkish tv series introduces us with a lot of new talents. Şükrü Özyıldız is one of the newborn stars of Turkish television. Şükrü Özyıldız was born in 18th of February 1988 in İzmir. He was born to a Rum mother and a Turkish father and has a little sister. He studied on Marine Mechanical Engineering in İstanbul University but he quit on his first year and studied on Business Administration on Aegean University, during his education he attended to Erasmus programme and went to Portugal. Şükrü Özyıldız was interested on martial arts since his childhood and he attended to cage fights for some time. While living on abroad, he started to take acting lessons and decided to be and actor. He returned to Turkey and continued to take acting lessons. He started to act in stages, commercials and finally on televisions in tv series “Deep Waters” and after this series he had the boom of his career with the drama “I Still Have a Hope”, he starred with beautiful actress Gizem Karaca. His first movie “Neva” was shot in 2013. 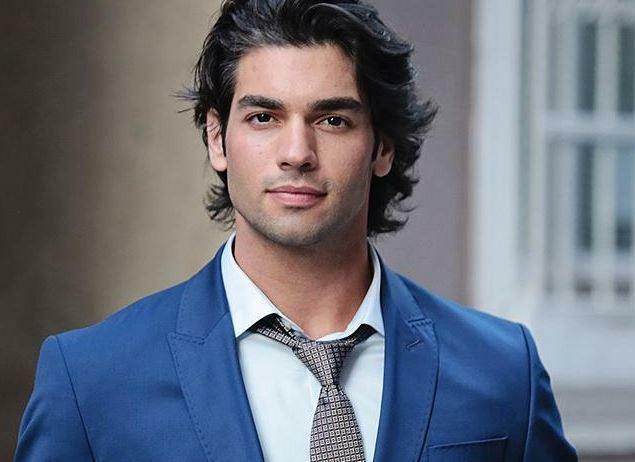 This year Şükrü Özyıldız is starring in a big tv series project “Şeref Meselesi – A Matter of Honor” co-starring with Kerem Bursin. This new tv series increased his popularity among whole country and this series will soon be exported to middle east countries. Şükrü Özyıldız is 1.85 metres height and 80 kg weight. He is dating with Şükran Ovalı.